Renting a property is not always easy. Sometimes, the apartment units or commercial units that we want to rent are owned by individuals or corporations who/that are picky when it comes to choosing the most suited individual who can rent its property. It is for this reason that these property owners often ask prospective lessees to apply for lease formally through the submission of specific documents and a formal rent application letter. 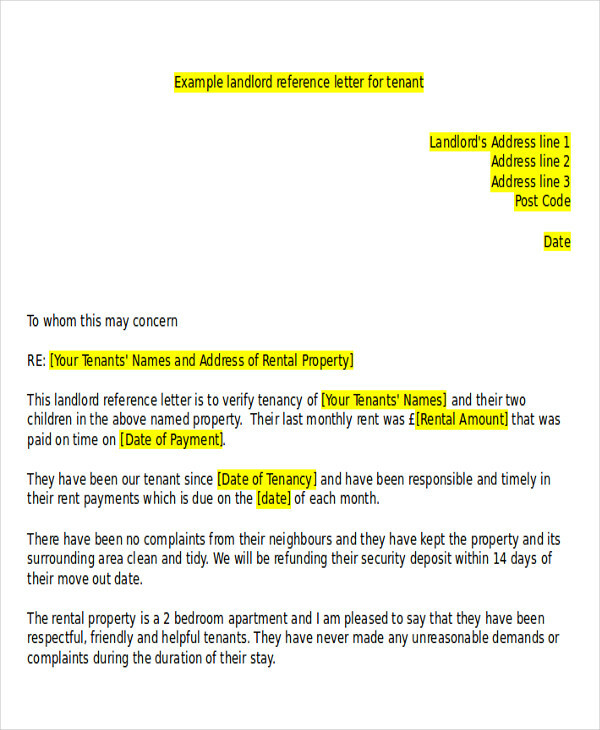 A tenant recommendation letter would surely increase someone’s chance of renting a property. 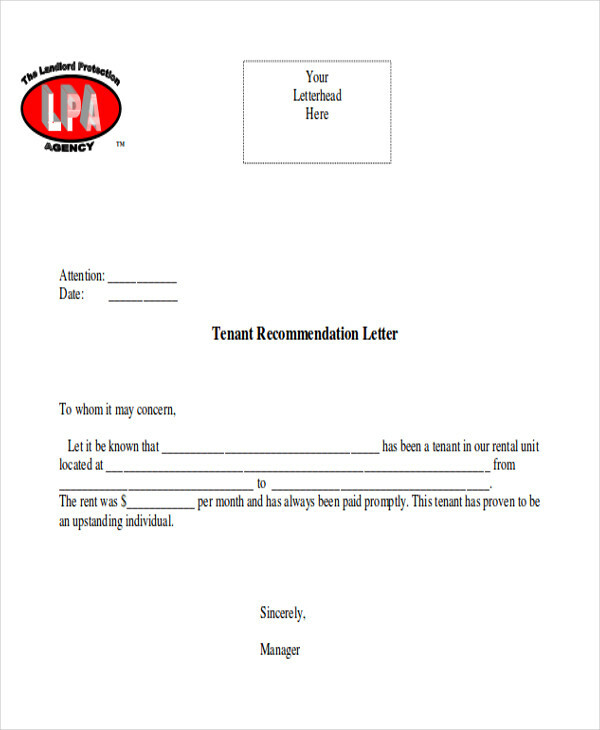 If you are the person asked to write a tenant recommendation letter, you may refer to our tenant recommendation Sample Letters on this page. What Is a Tenant Recommendation Letter? 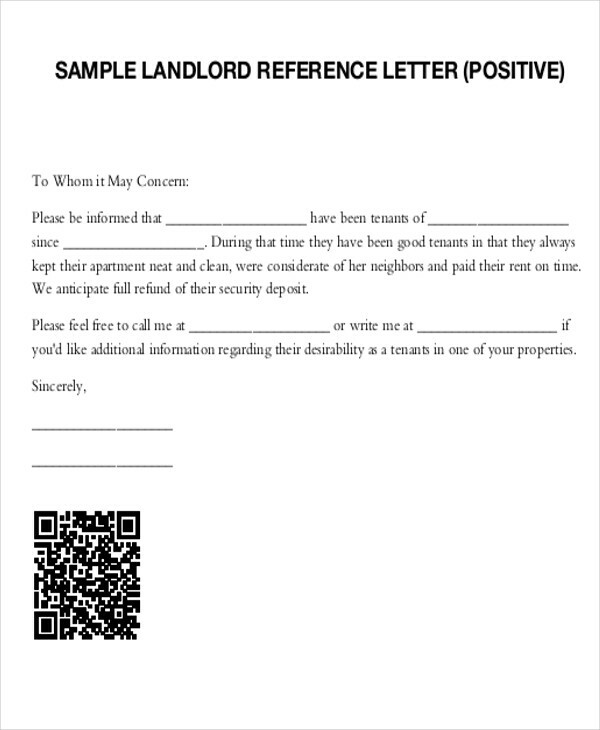 A tenant recommendation letter is a letter written for the purpose of convincing a property owner that a lease applicant deserves to rent a property. The fact that most property owners are protective of their own domain is inarguable and thus, in order to counter their need for security and assurance as to the trustworthiness of the individuals who would rent their properties, a well-written tenant recommendation letter would be of great use. It would greatly motivate property owners to view a lease applicant in a positive light. 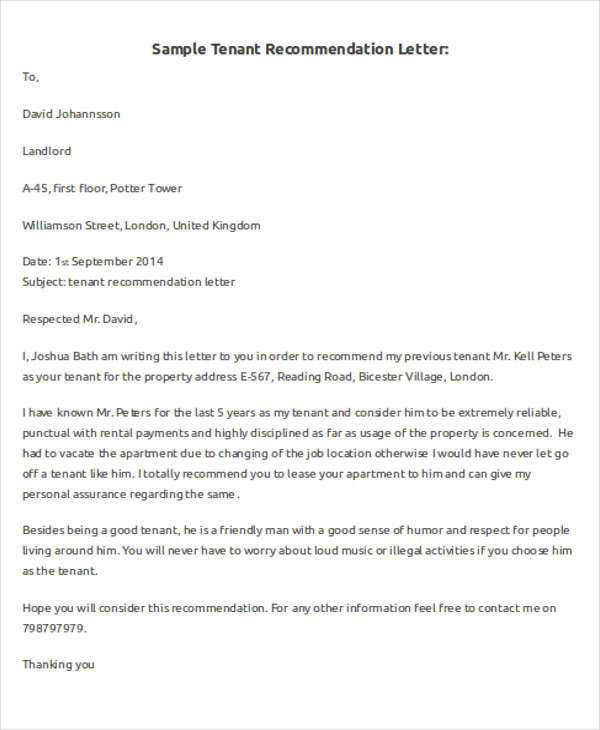 Who Can Write a Tenant Recommendation Letter? 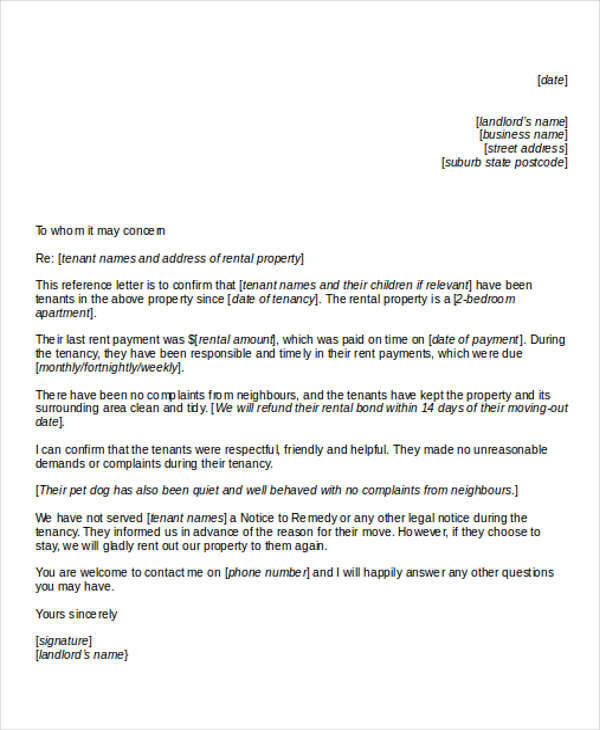 Aside from the tenant recommendation letters we have on this page, you may also refer to our collection of Landlord Recommendation Letters. On the other hand, you can also check out our collection of Personal Recommendation Letters that you may use should you be asked in the future to write a personal recommendation letter. To access these templates, simply click on the link provided. What to Include in a Tenant Recommendation Letter? If you are writing a tenant recommendation letter, make sure that you do your research first. By research, it means that you need to know the nature of the property that is being considered. Ask the purpose or the reason why the lease applicant is asking you to write a recommendation letter for him/her. Is he/she planning to rent an apartment or a commercial space? Knowing the nature of the property would greatly aid you in determining which aspects you need to mention in your recommendation letter. Start by stating how you are related to the prospective tenant. After that, mention the prospective tenant’s dependability when it comes to fulfilling his/her financial obligations. 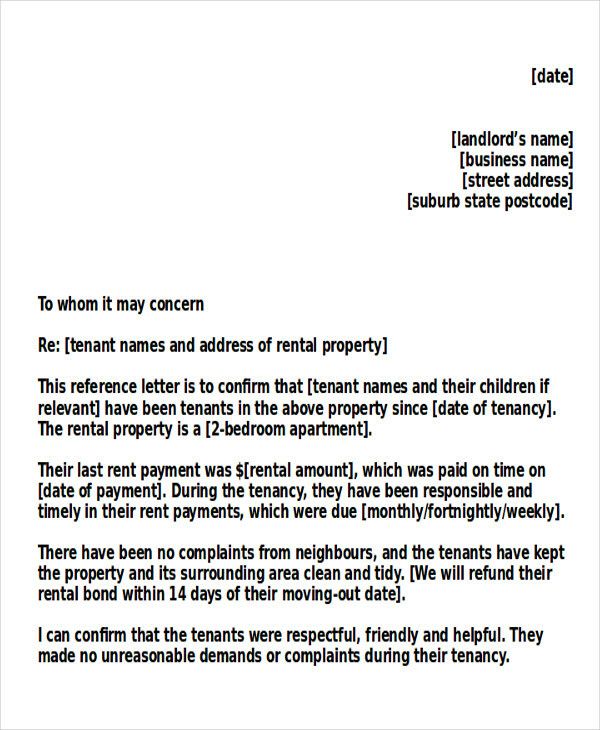 This is important since this would assure the property owner that the tenant would pay his/her rent on time. Then, emphasize the tenant’s good character in order to convince the property owner that his/her property would be secured. Speaking of recommendation letters, we also have a collection of Letter of Reference Format Samples that can provide you with the proper format of reference letters. In order to access these templates, simply click on the link provided.